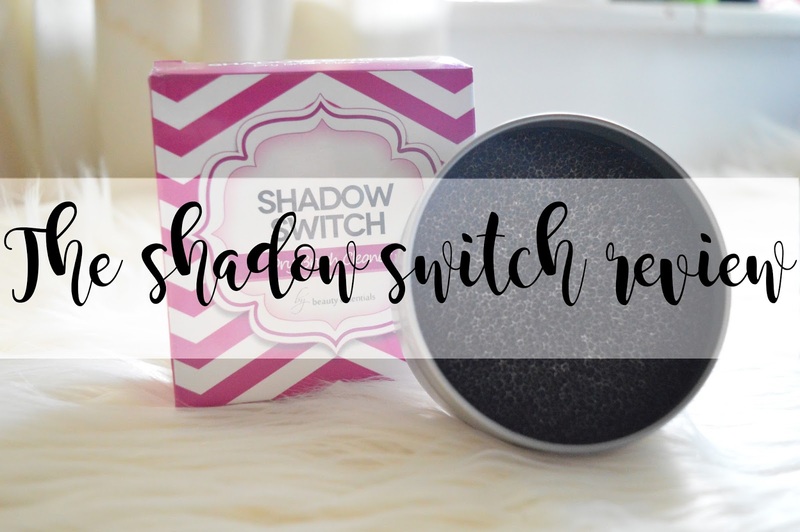 So Beauty Essentials kindly sent me the Shadow Switch to try out and it has completely changed my makeup routine! I am a terrible female when it comes to makeup! I use one brush for absolutely every eyeshadow without cleaning it between colours, purely because I don't have the time but also because it's too much hassle! Inside the beautiful tin is a black scouring pad/sponge and it has no scent either which is fabulous! Once you have finished applying an eyeshadow to your lid, simply swirl your brush in a circle on the pad for a few seconds and all of your makeup is removed from the brush without it getting wet. How incredible is this? A makeup tool which every girls needs in their makeup bag! This product is perfect for if you're going on holiday and have a weight limit for your bag as this literally weighs pretty much the same as a feather, maybe a little bit heavier, but not much! It would no make a difference to the weight in your bag! This is perfect when you love a smokey eye and layer different shades to create the darker look but you do not have enough room in your makeup bag to take so many brushes with you or if you do not have the time to keep re-washing the same brush and waiting for it to dry! You know what I mean if you're lazy when it comes to makeup like me! One aspect I absolutely love about this Shadow Switch is how there is no scent what so ever! As a suffer with sensitive skin, I am always fairly wary about trying new products which could potentially create a reaction on my skin, especially when they include perfumes or chemicals which are unnatural. However, with the shadow switch I do not have this problem as there is no perfume or chemical too it which could possibly cause a reaction which is perfect! The Shadow Switch is also only £5.99 which I personally think is a bargain for something which is so simple to use which will also be long lasting! I mean, how could a dry product possibly run out? Imagine how much money you're saving by transferring to this as a makeup brush cleaner instead of using the liquid products which are on the market. Probably a lot of money! You can find this makeup brush dry cleaner over on Amazon, and it is also coming to Sephora very very soon so keep your eyes pealed! The packaging however is different to what is shown, but to be honest I love the new packaging! It's so pretty. I'd like to thank Charlie Black from Dee and Co for giving me the opportunity to test and review this product. I love the idea of this! Thanks for the great review, it's the type of product i'd never consider but now I think it'd actually be SO useful.